A clean, organized manufacturing plant or warehouse is often more efficient, more productive, and safer than one that is not. Some organizations may task their in-house employees with the upkeep of the facility, whereas others may employ an outside cleaning service to handle the cleaning and maintenance process. Outside cleaning crews will not be as familiar with the inner workings of a facility as an in-house employee, so they’ll require an extensive amount of training before they start. Critical to that training will be an emphasis on staying safe on the plant or warehouse floor. Regardless of how organizations choose to staff their industrial facility, the safety protocols below outline the most common hazards a cleaning crew may encounter and what can be done to ensure the safety of everyone on the team. Just as facility employees have dedicated work areas on a specific manufacturing line or in a specific office, so too should your cleaning crew. It’s often easy to stick the cleaning and maintenance supplies in a closet with other materials used in your facility, but ideally, they should have their own space. Cluttered closets and storage spaces can spell trouble as they increase the chance of someone getting hurt. Add in cleaning tools and chemicals to the mix and you have a whole other level of danger. When storing cleaning supplies and tools, locate an area in your facility that has proper ventilation and ample space for the cleaning staff to move around. On any given day, the staff may be stacking bottles of cleaning products, replacing filters in vacuums, or changing the floor pads and brushes on a floor scrubber to prepare for that day’s tasks. To change the pads on a floor scrubber, for example, the cleaning crew needs enough space to lay the machine on the ground without it getting in the way of anyone or anything. 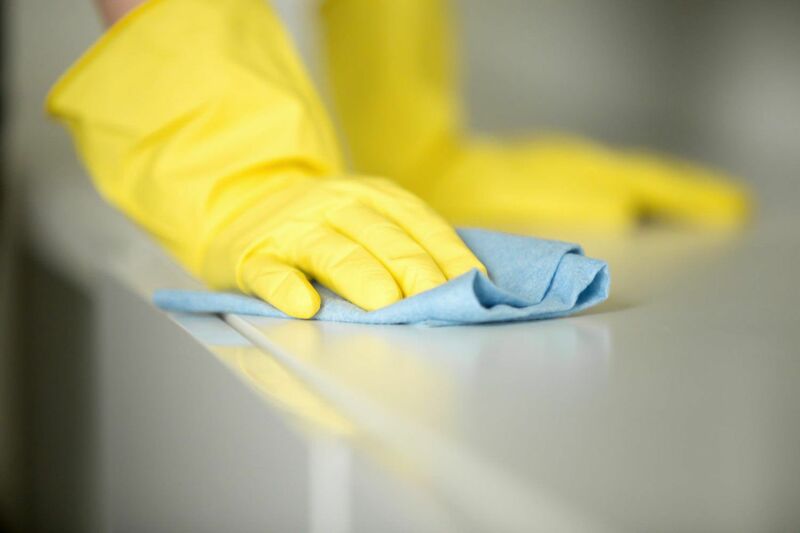 In order to keep the cleaning staff safe, it’s preferable to have a work area available away from the manufacturing plant floor and out of harm’s way. Cleaning and maintenance staff come in contact with a wide range of chemicals in their daily tasks, including bleach products, degreasers, and sanitizers. 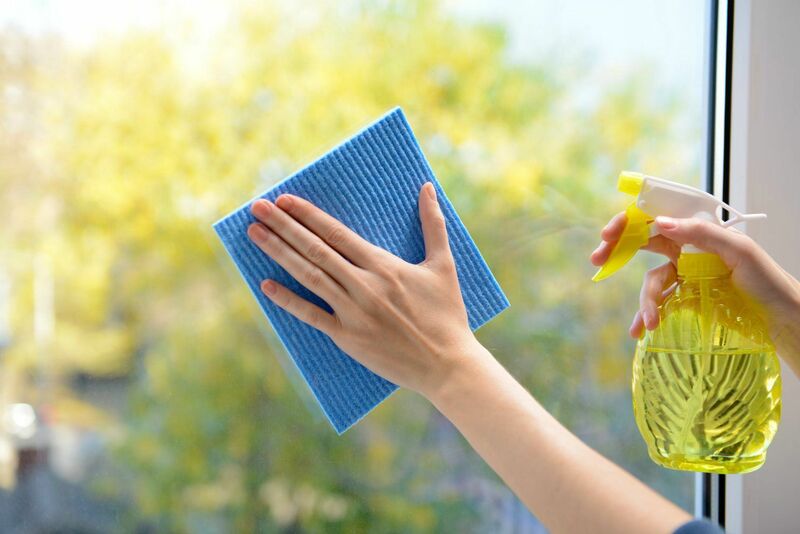 If you haven’t already made the switch to greener alternatives, odds are your cleaning products have the potential to cause harm to your staff if handled and used improperly. Improper exposure to chemicals from cleaning products have been found to cause coughing, skin rashes, headaches, and lung damage, so it’s important that cleaning staff receive thorough training on the products they use. Labels: To promote safe handling of supplies, ensure all of the chemicals and cleaning products have clear labels and safety data sheets readily available so that staff knows exactly what materials they are handling and where to look for additional safety information. This is critical to preventing accidents and injury. Handling spills: Spills or splashes often occur when an employee mixes and dilutes liquid cleaning solutions or transfers a chemical from a tote to a smaller container. Cleaning staff should be trained to always refer to the safety data sheets if they have any questions about how to handle and clean up a specific product. Clear instructions outlining what personal protective equipment (PPE) to use, including gloves, goggles, and clothing, is also important. Additionally, if a spill or splash results in physical harm to cleaning staff, all staff should know how to address the situation in a timely manner. Manufacturing plants and warehouses have a lot of moving parts, including heavy machinery that can weigh upwards of 15,000 pounds. Not only can these machines pose a danger to the workers on the operating lines and in the warehouses, they can be hazardous to cleaning staff. Often times cleaning staff may be working while machine operators are doing their daily tasks, so it’s of the utmost importance that cleaners always be mindful of their surroundings. 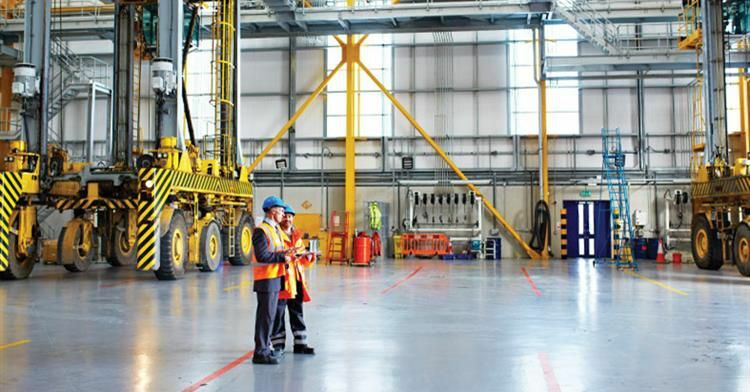 By wearing high-visibility vests and jackets, cleaning staff make it easy for employees on lift trucks and manufacturing lines to spot them as they approach active work areas. However, even before setting foot on the plant or warehouse floor, cleaning staff will benefit from havinga plan or schedule for their day. If they know a specific area of the plant goes offline at 10 am, they might want to use that time to clean the area, rather than at 1 pm when it’s up and running. It’s important, of course, to touch base with the line manager first to ensure proper lockout/tagout (LOTO) is enforced and the area has been approved for cleaning. Slips, trips, and falls continue to be a leading cause of workplace injuries in industrial settings. Cleaners, especially, have a high risk of slipping since they handle liquid cleaners and situations that involve water, oil, or grease spills. In addition to high-visibility clothing, the cleaning staff’s uniform should include properly fitted, nonslip shoes that help create traction against a wet floor. Not only can the right shoes improve safety, but they can also increase the comfort of workers who may spend multiple hours on their feet. It’s critical that facility and plant managers train cleaning staff on how to address spills. The longer a hazard lingers, the higher the chance of something bad happening, so it’s best that a cleaning crew addresses a spill as soon as possible. After a spill, it’s important to set up a perimeter around the area to make others aware of the situation. After that, the cleaning crews can decide on the proper cleaning method, be it a degreaser for an oil spill or something more serious for a chemical spill. A multitude of factors can contribute to slip, trip, and fall incidences in a manufacturing setting, including clutter, uneven surfaces, and obstructed views. What role can cleaning crews play here? Well, they can certainly keep a watchful eye on the pileup of debris throughout the facility. They can also help ensure that mats, cords, and the like are secured to the ground. Lastly, to keep themselves safe across the board, cleaning crews should take their time with their daily tasks and always be mindful of their surroundings.